As we promised, this is our follow up to our Vacation Rental 101! In the previous blog, we discussed the benefits of booking a vacation rental and now we will explain how it works! You may be wondering....now that I know the benefits to booking a vacation rental, how does this work exactly? How do I book, is there a front desk, a concierge, or do I get a pass-code to the lock? The truth is, it is very simple! 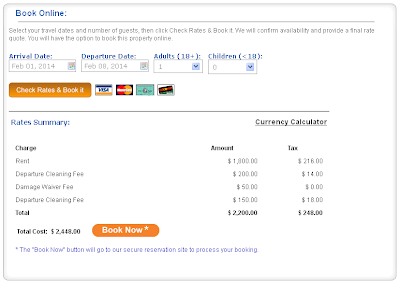 First, you book directly on our site www.perfectplaces.com or through the property manager and owner directly. Over 45,000 of the 65,000 vacation rental properties on PerfectPlaces.com offer secure online booking! Booking a property online offers you the convenience you are accustomed to when booking a traditional hotel room online. On our website, you can confirm the property availability, price, terms and finalize your booking online with a secure credit card purchase. This eliminates the time consuming, back and forth email and telephone calls. It takes as little as a few minutes to book your next vacation rental online! Some of our property owners do not offer online booking, yet. In that case, simply fill out the request form when you find a vacation rental you are interested in. The property manager will then respond to your inquiry and let you know if the property is available for the dates you have selected and will give you the rate. Be sure to ask any questions that you may have about the property and their policies. Most managers will get back to you within 24 hours, so check your email and phone messages! Once you have your property booked, you will receive confirmation directly from the property manager. The manager will send you a detailed list of instructions on how to check in, get the key and how to check out. Some property managers simply have you check in at a front desk, some give you a pass-code that you will punch in at the front door and some will leave the key for you in another location, such as a manager's office. The process is very simple and takes much less time than waiting in line at the check in of a hotel! The same goes for the check out process-just follow the instructions you are given. It really is a quick and easy process. Vacation rentals are a fantastic way to save money, time and have more room on your next vacation. We offer vacation rentals all over the world in a variety of sizes, styles and price ranges. Popular Florida Vacation Rentals can be found for as little as $60.00 a night! Save with Paris Vacation Rentals! 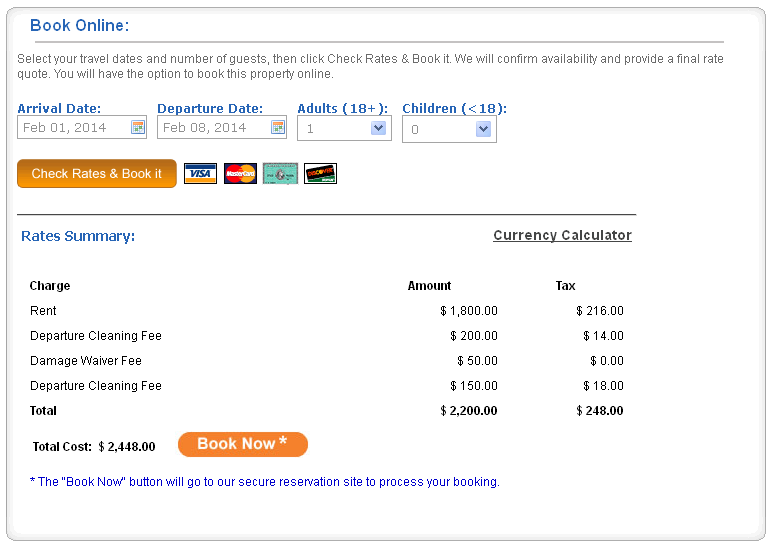 Hawaii Vacation Rentals are nearly half the price of hotels! If you missed our last blog, Vacation Rental 101, be sure to check it out!